After watching the drama series, ‘Lie to Me’, I got curious about facial micro-expressions. 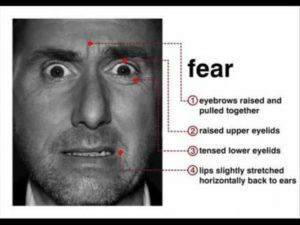 Facial micro-expressions are rapidly involuntary facial expressions which reveal disguised feelings. They can be significant for understanding humans’ deceitful behaviors. In analyzing facial expressions, the main focus is basically to detect the six basic emotions and hence to provide facial expression unit being labeled. Different people have their own unique facial expression for each emotion. As a result, researchers have been asked to first give ordinary questions about testers’ daily life to get a baseline of different emotions (not limited to six basic emotions). (Pfister, 2011) For instance, in research done at the University of Oxford, they asked a participant about his attitude toward the murderer and he appeared to be angry since his eyebrows got down and together and his eyes glared. Compared with previously gathered micro-expression criteria, experts can better decide if the participant deceived or not. The field of micro-expressions is interesting in psychological research. Experts can get clues about whether someone has committed a crime. Moreover, police can quickly figure out whether the suspects deceive or not. Detecting true feelings can make life much easier. Pfister, T., Li, X., Zhao, G., & Pietikäinen, M. (2011, November). 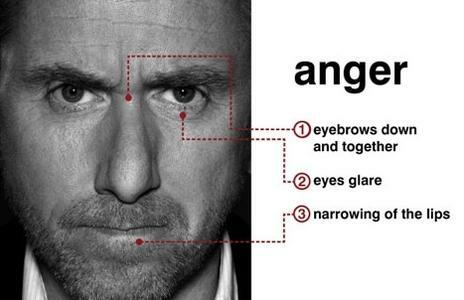 Recognising spontaneous facial micro-expressions. 2011 international conference on computer vision (pp. 1449-1456). IEEE. Ekman, P. (2003). Darwin, deception, and facial expression. Annals of the New York Academy of Sciences, 1000(1), 205-221. Li, X., Pfister, T., Huang, X., Zhao, G., & Pietikäinen, M. (2013, April). A spontaneous micro-expression database: Inducement, collection and baseline. In 2013 10th IEEE International Conference and Workshops on Automatic Face and Gesture Recognition (FG) (pp. 1-6). IEEE. Mia is a third year Computer Science undergraduate at Georgia Tech. She focuses on Artificial Intelligence and Computational media. In her free time, she likes playing video games, watching animations and sometimes can design simple games and anime.